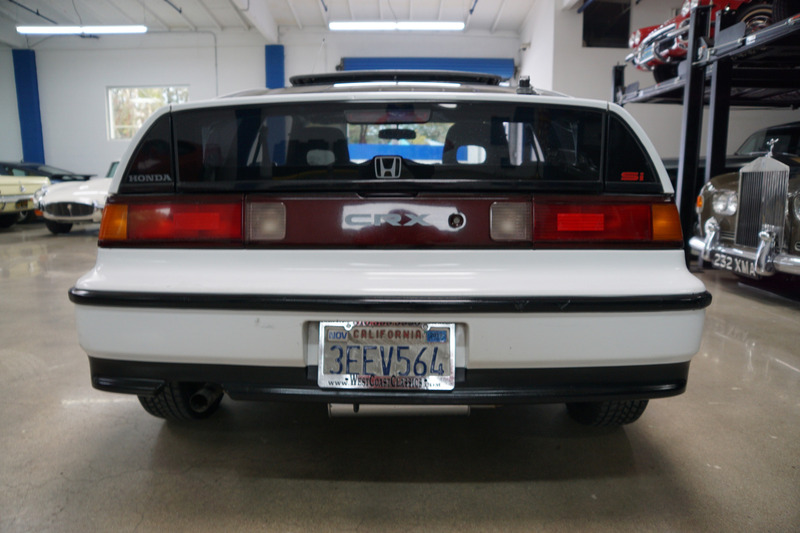 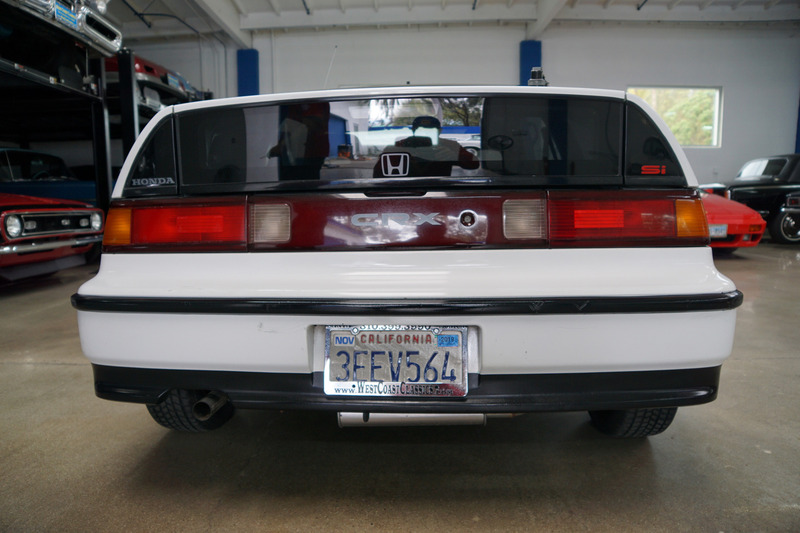 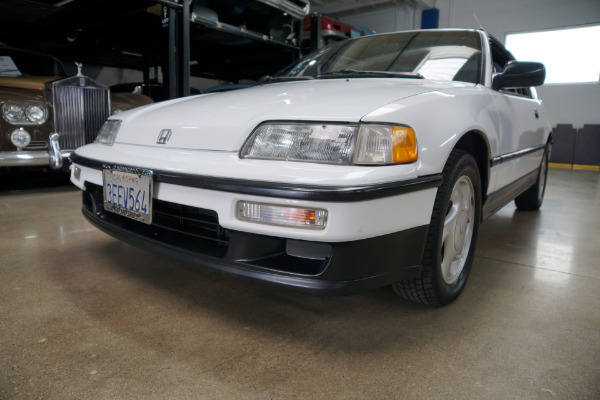 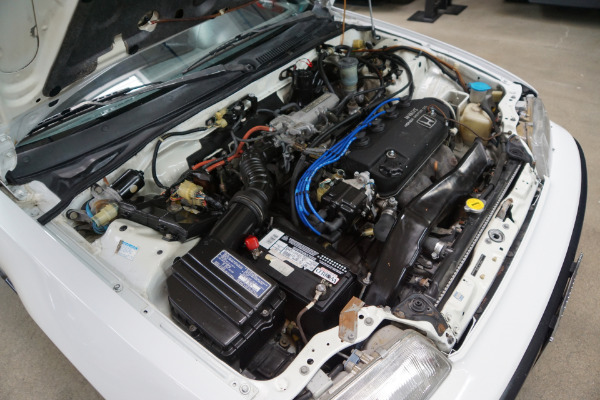 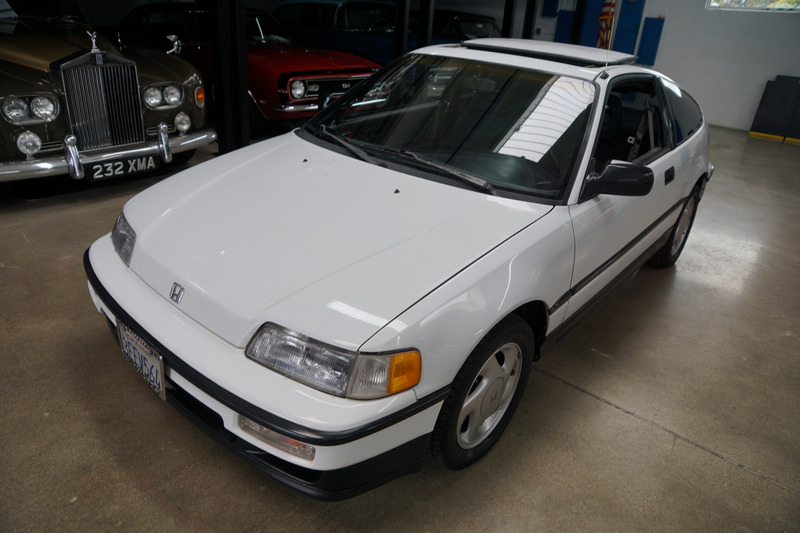 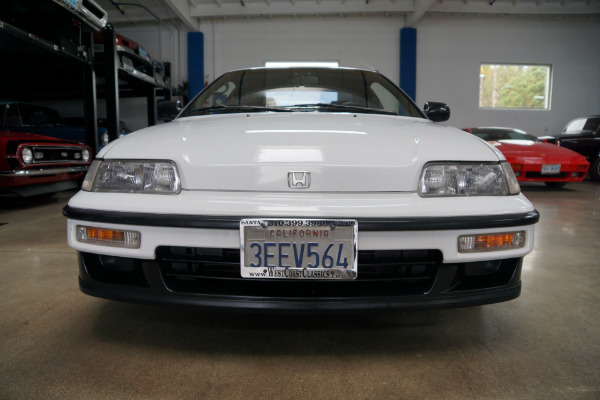 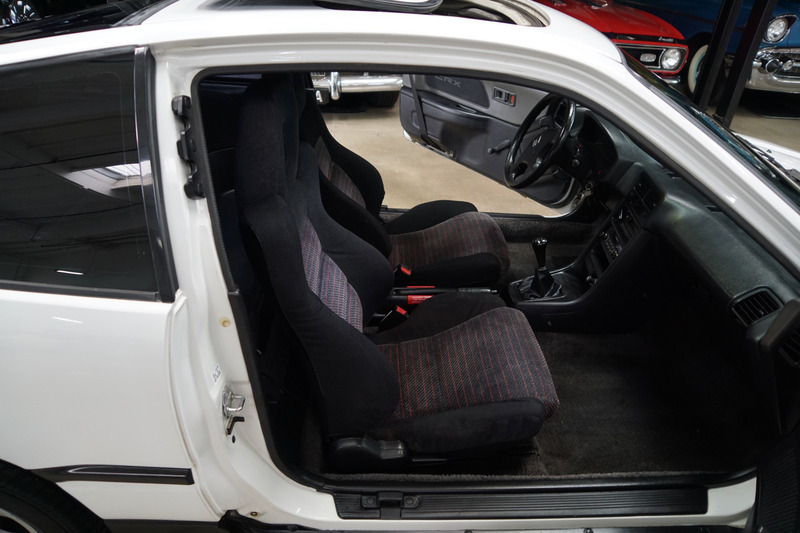 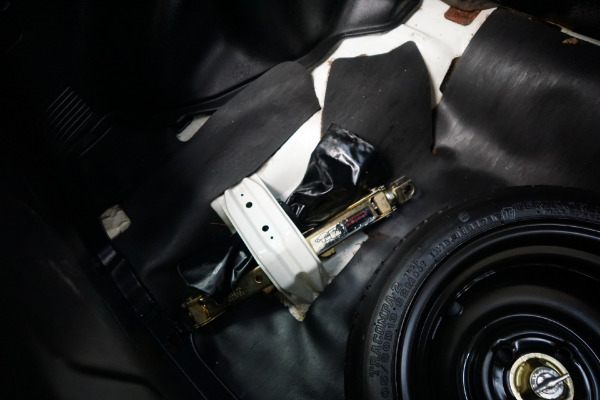 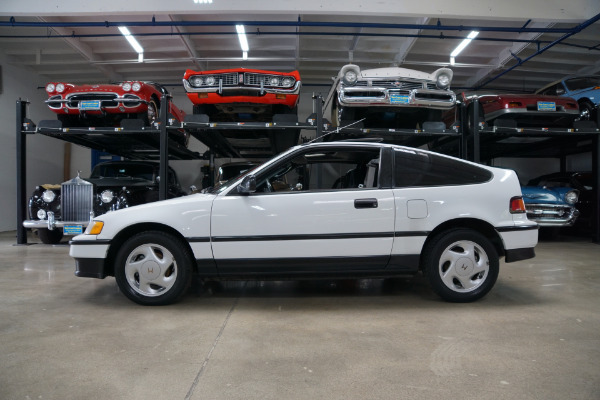 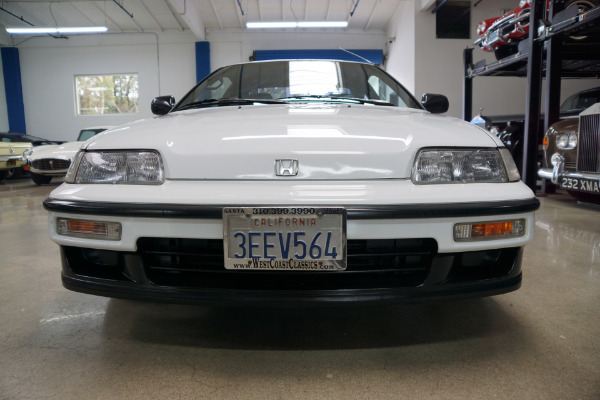 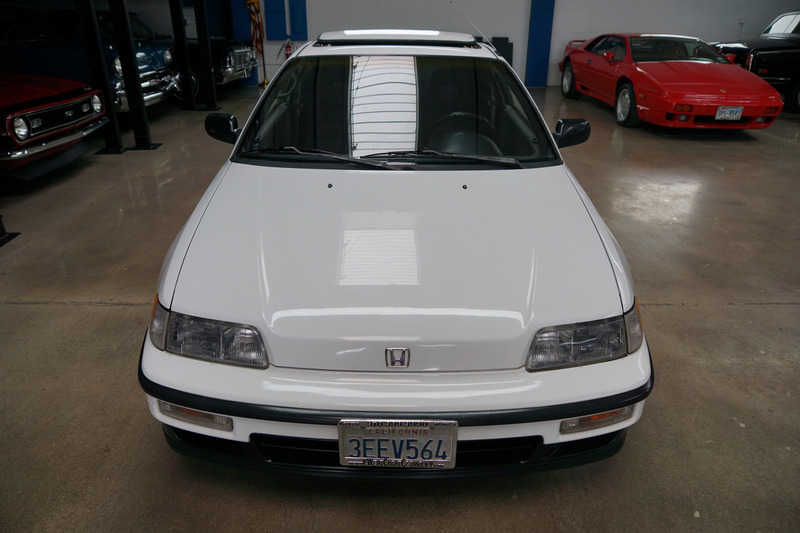 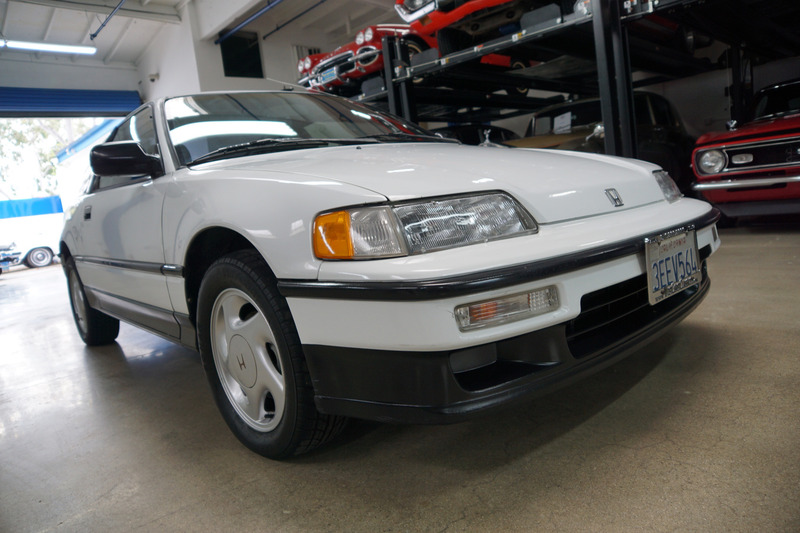 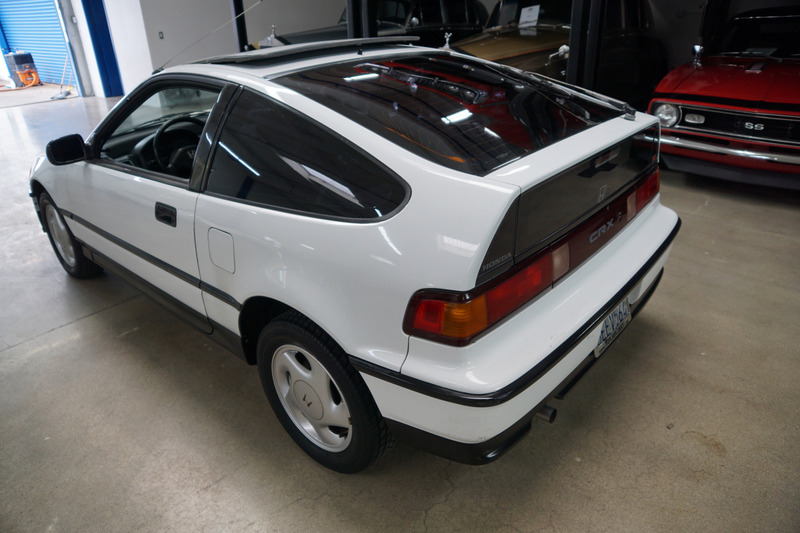 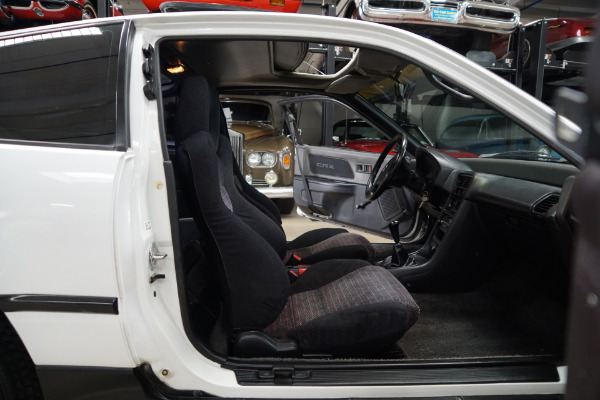 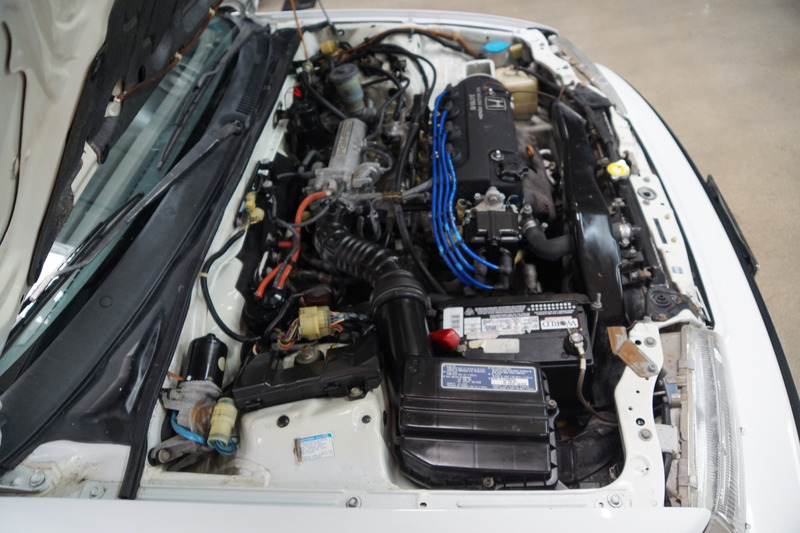 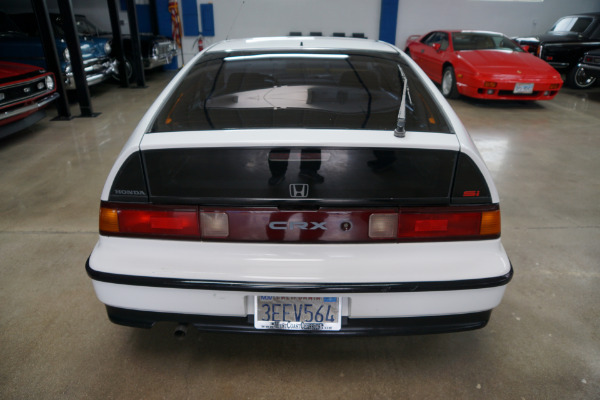 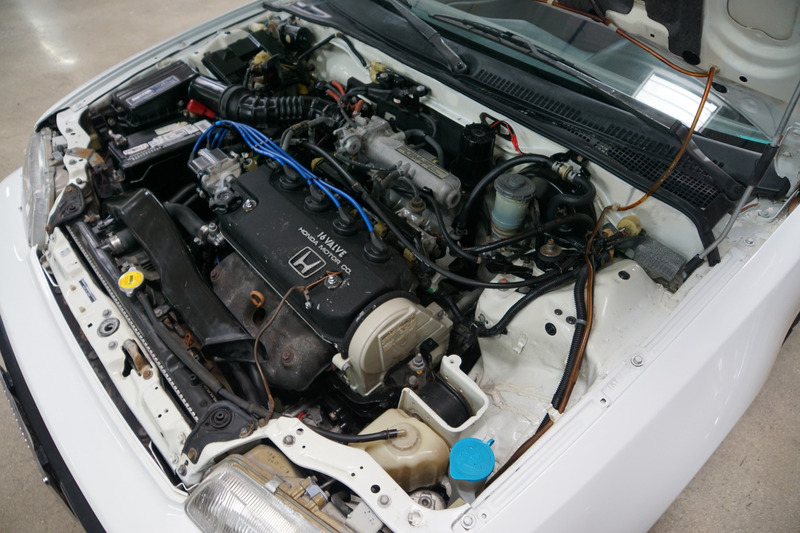 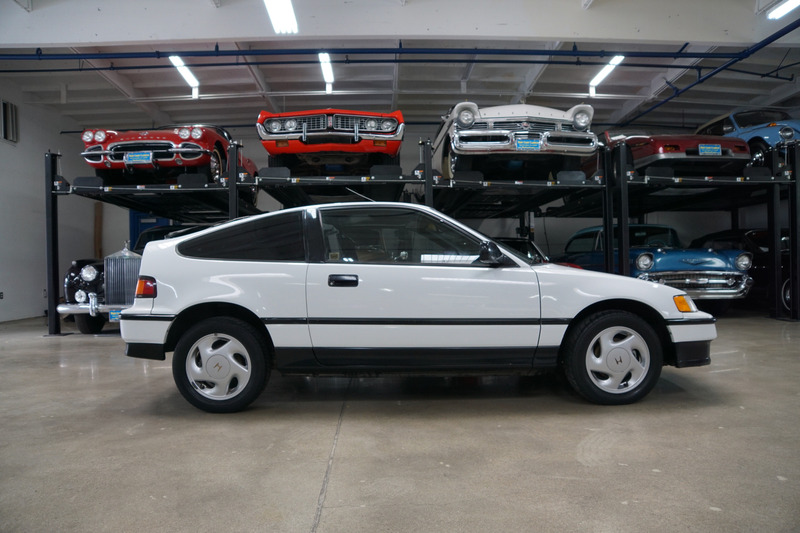 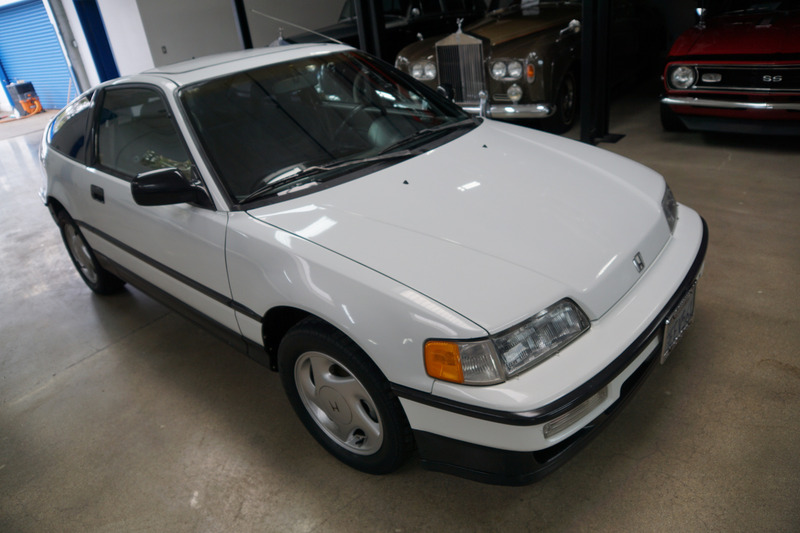 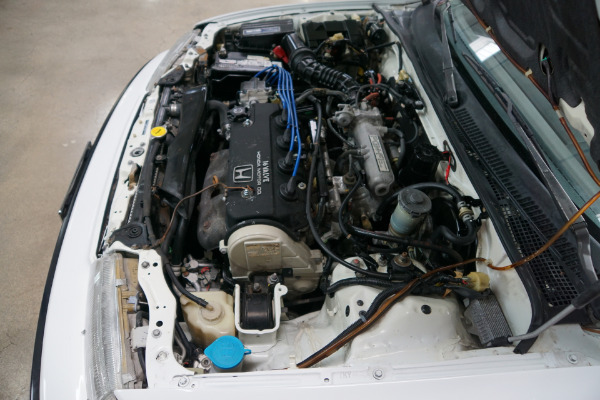 West Coast Classics are proud to present an exceptional find of an original southern California owner's car since new; a last year 1991 Honda CRX Si with its original 'Frost White' color paint and an original 5 speed manual transmission and 122K original miles! 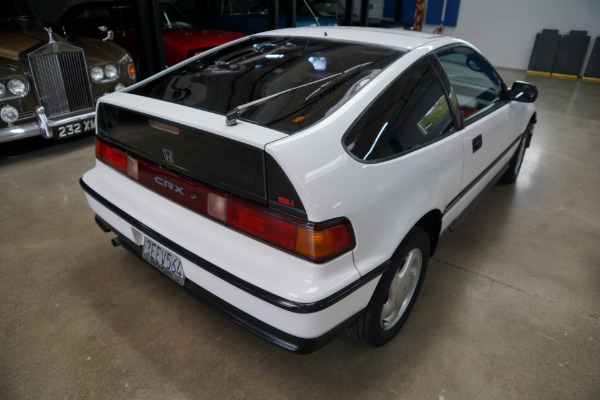 Amazingly, the Honda CRX (built between 1983-91) was voted by 'Motor Trend' as the '1984 Import Car of the Year' when it first appeared on the two seater sports coupe scene of the mid 1980's! One of the most appealing Japanese cars ever produced, unfortunately they have largely disappeared from the roads almost entirely due to insurmountable rust issues of all the Japanese cars of this era and obvious 'boy racer' abuse making this last year and single southern California owner model all the more rare and unusual in its virtually completely rust and accident free and also its rare all original stock condition! 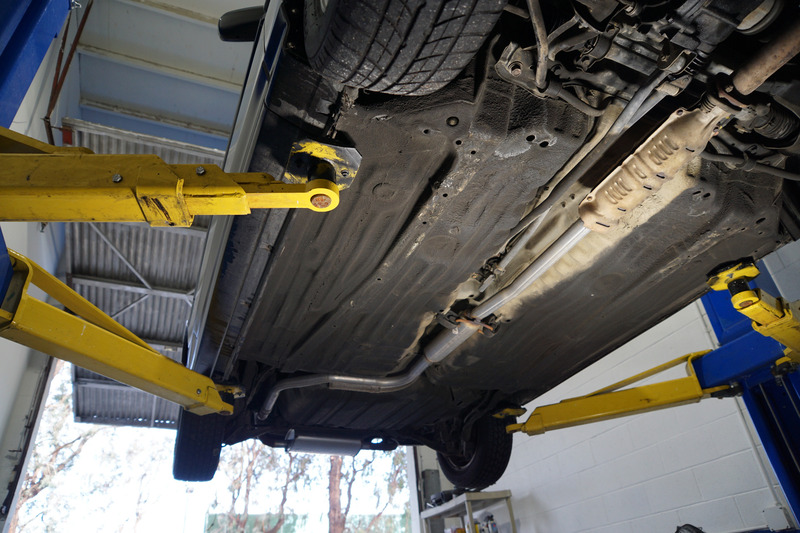 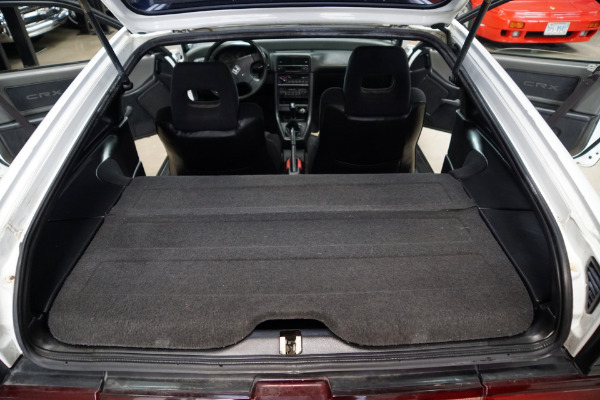 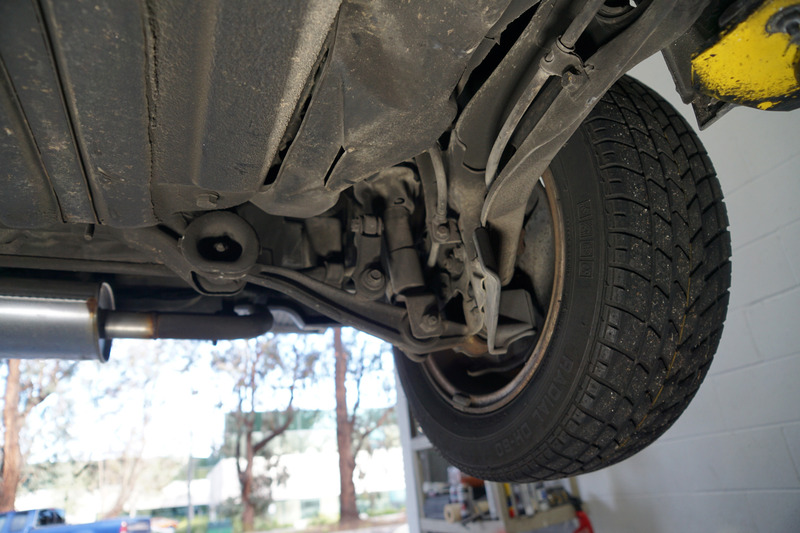 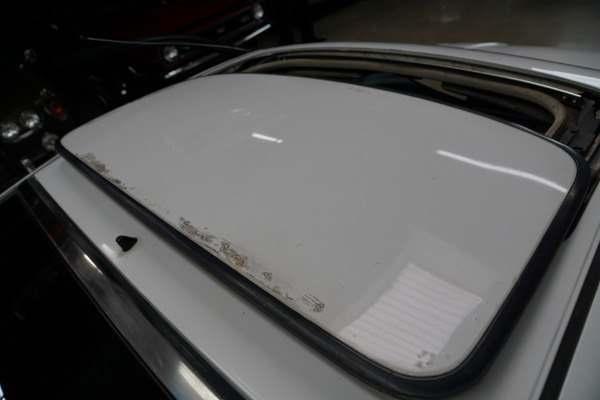 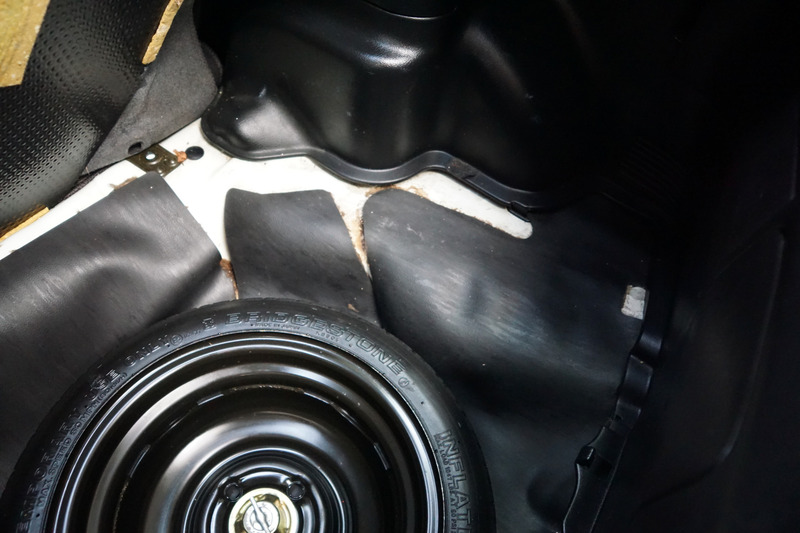 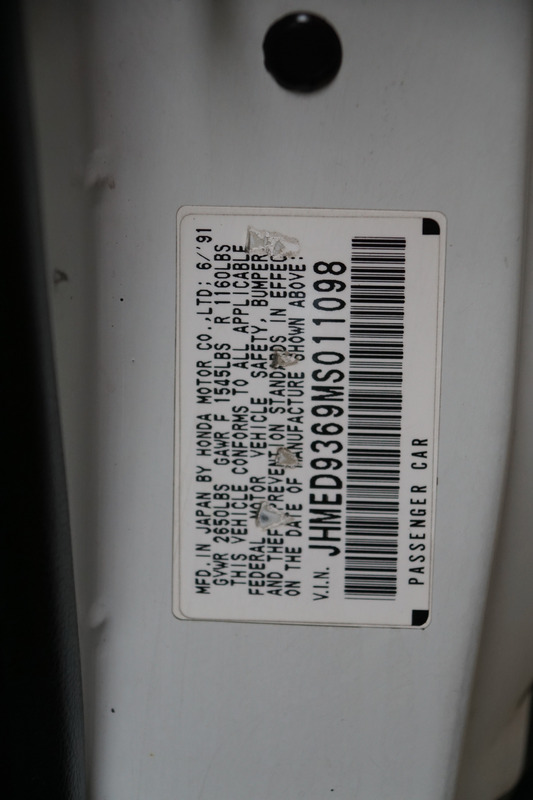 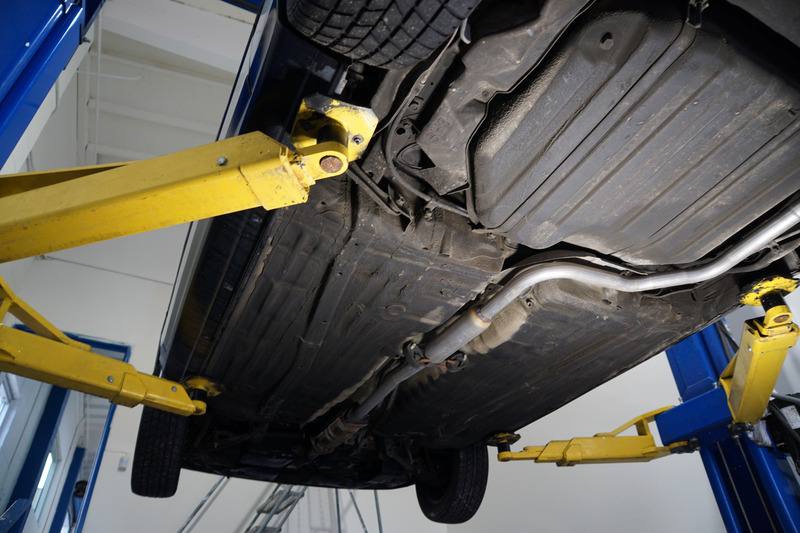 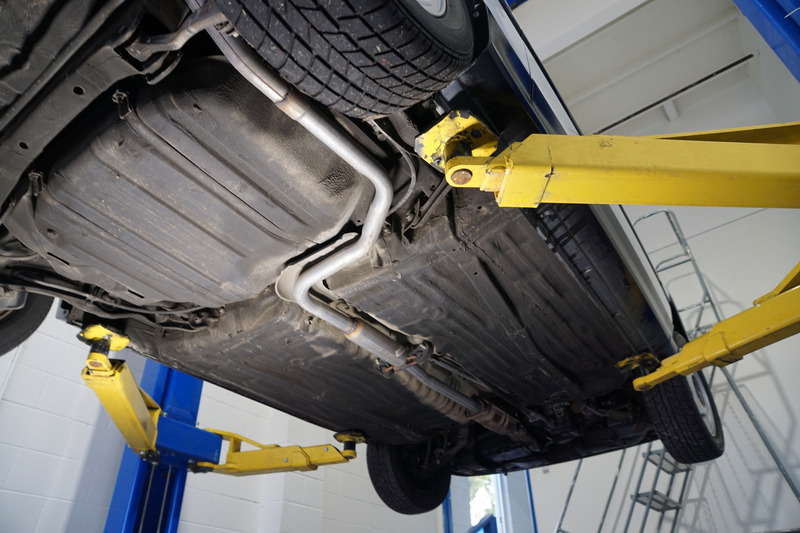 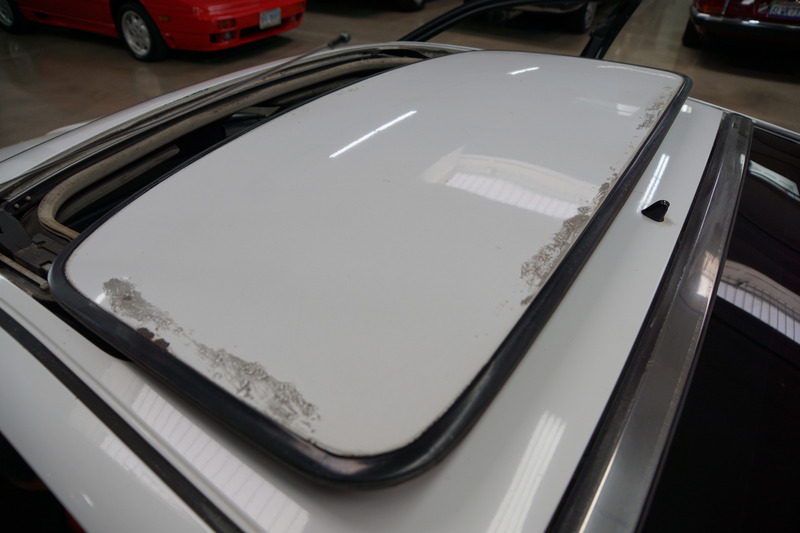 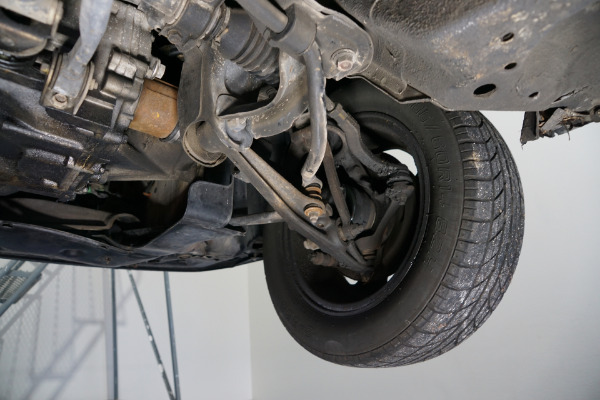 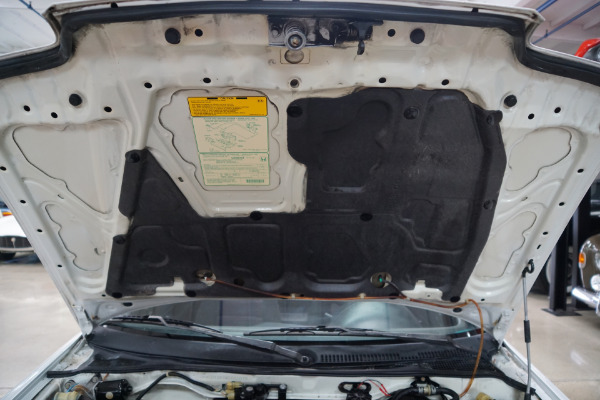 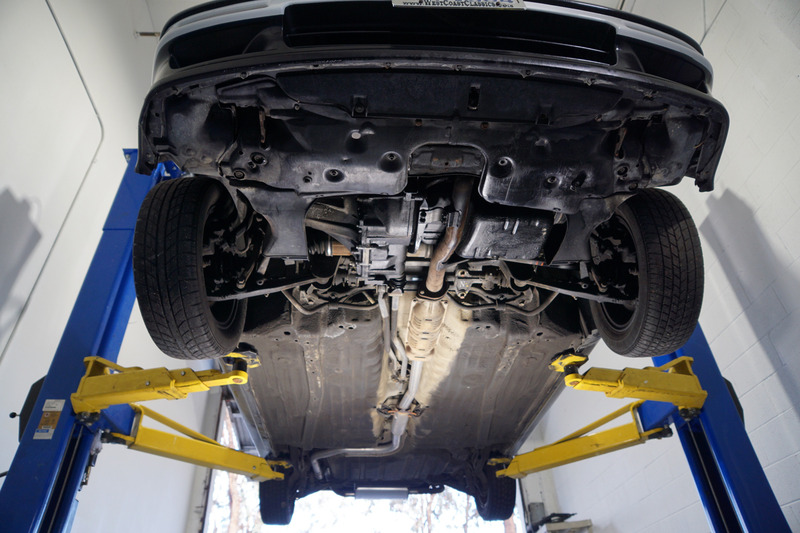 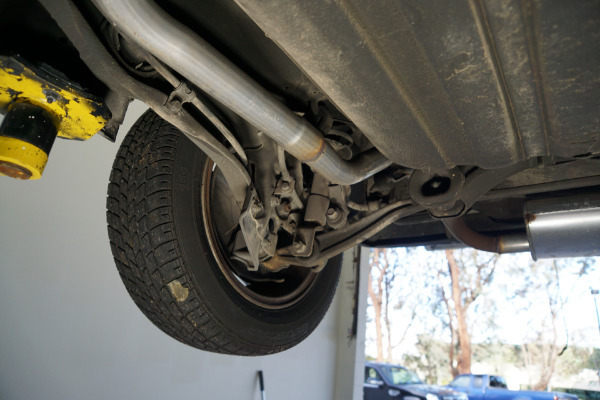 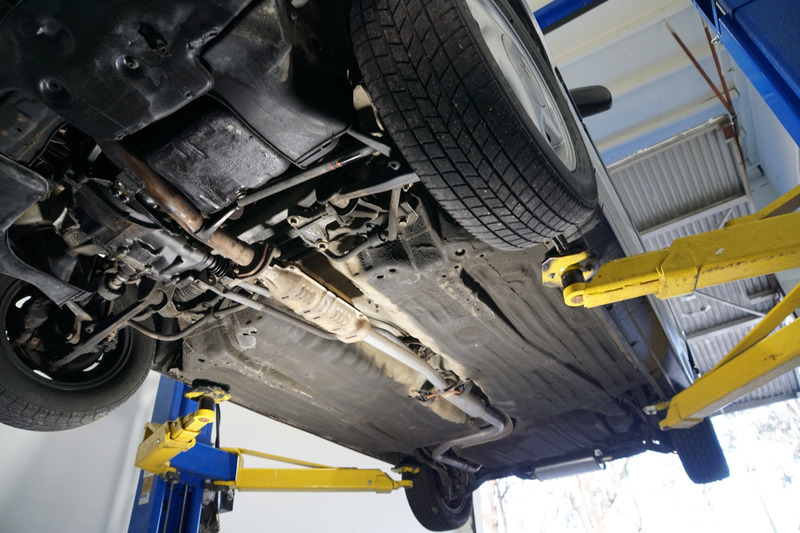 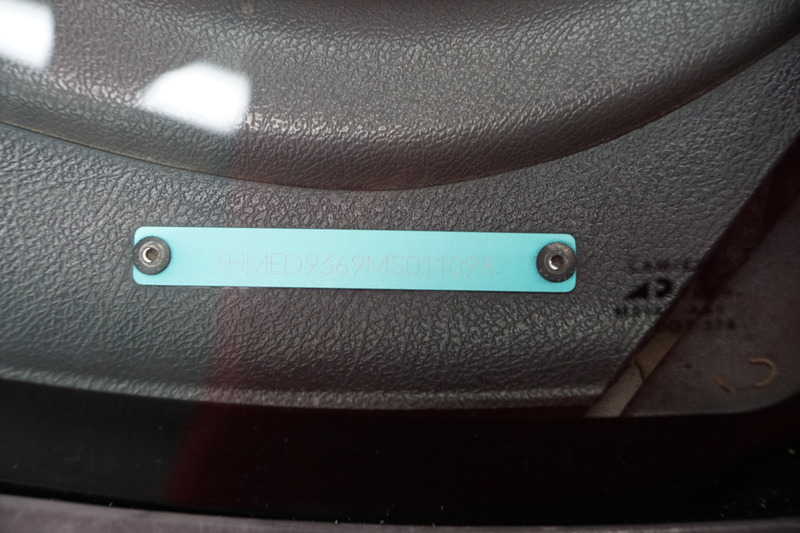 Only the pop up sunroof is showing any signs of any rust issues. 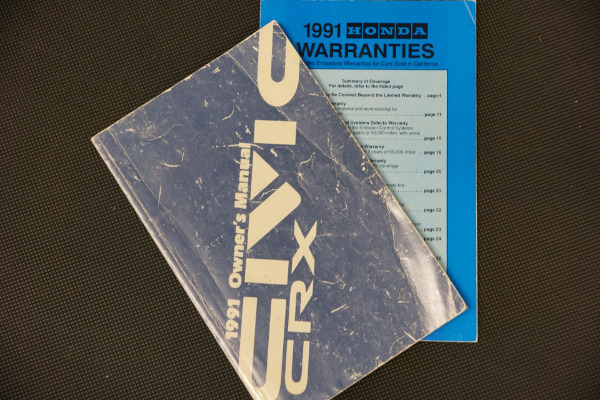 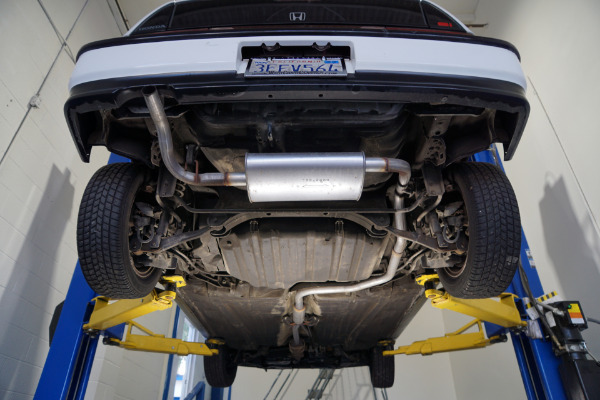 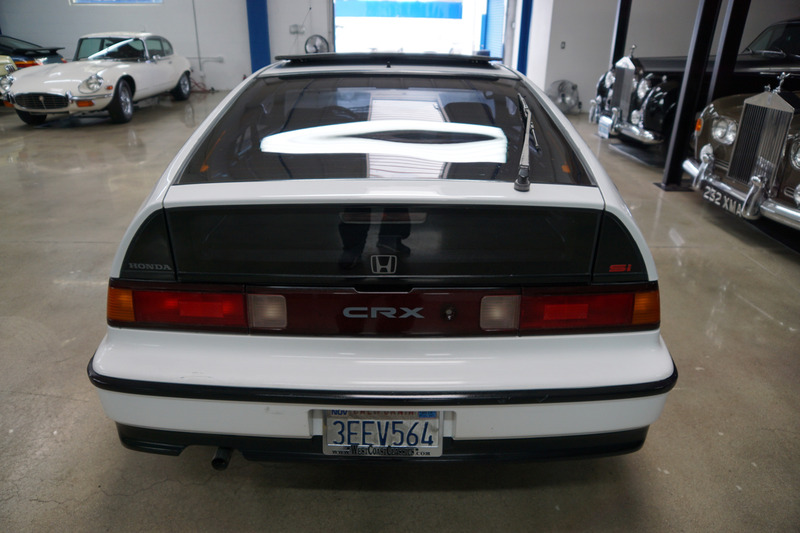 The hot selling Honda CRX commands a large and fanatical following with the top-of-the-line CRX 'Si' holding pride of ownership amongst enthusiaists. 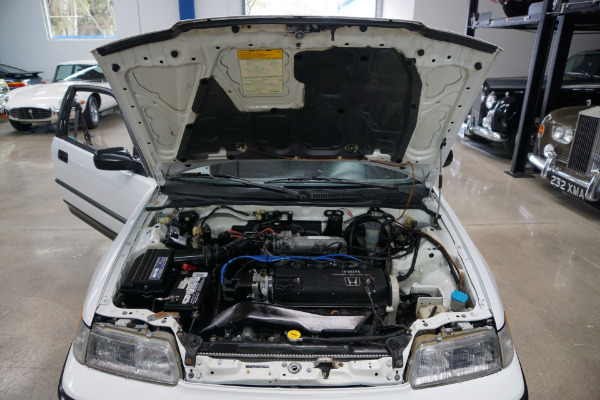 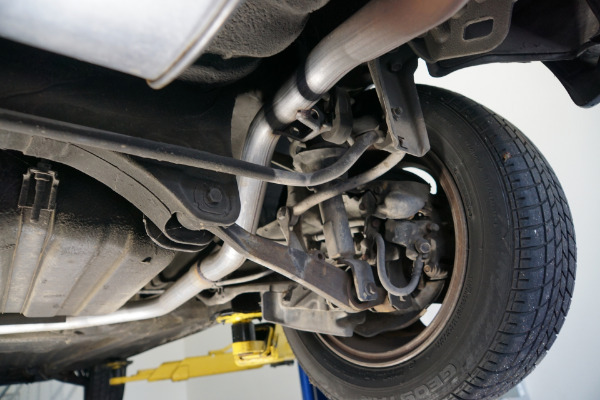 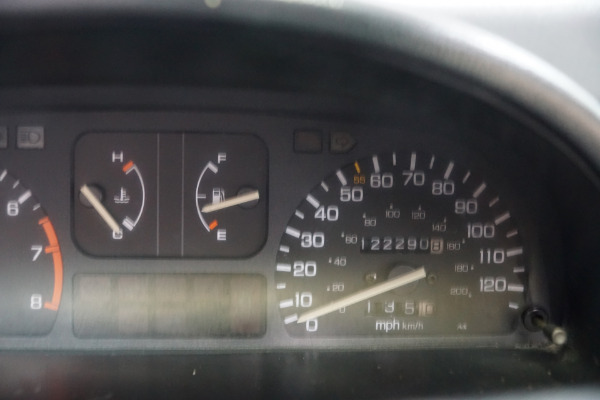 It was a sensation when it hit the market with a combination of style and performance whilst boasting record fuel economy figures that sent auto buyers into gales of praise and buyers streaming into Honda showrooms. 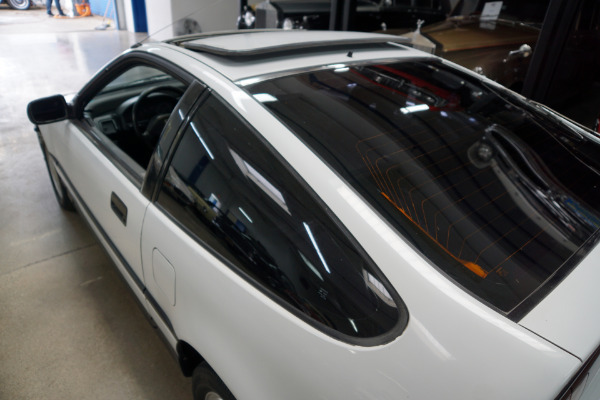 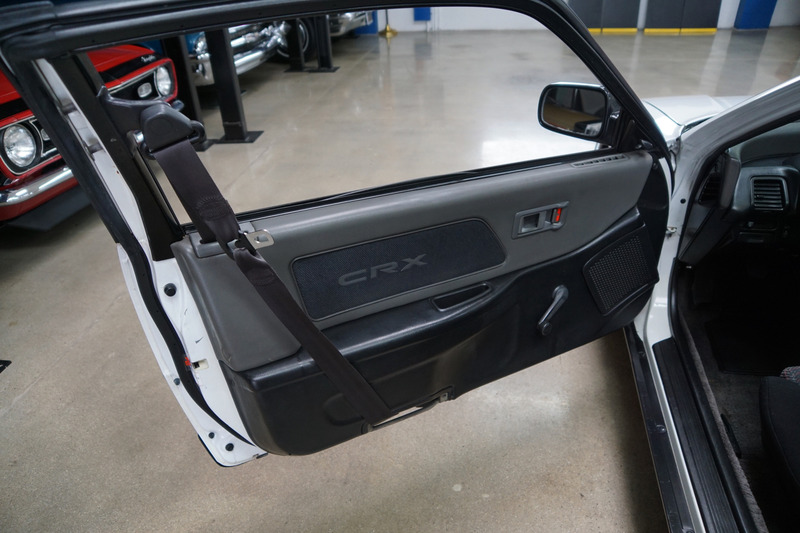 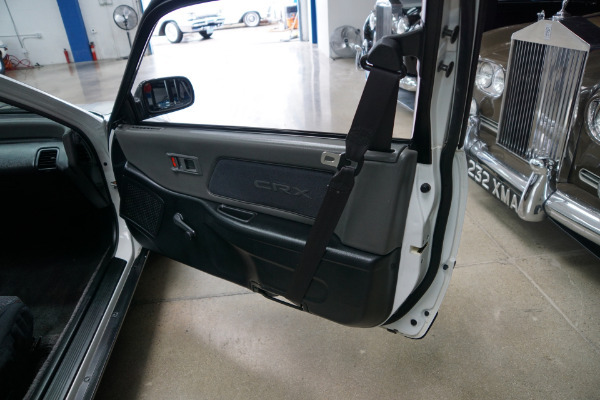 The CRX established the long hood and short deck lid that then defined the regular Civic coupes for a decade to come and although not a traditional sports car, the CRX certainly offered sporty performance and handling and proved to be the archetypal 'Pocket Rocket' and as such was a huge sales success for the brand. 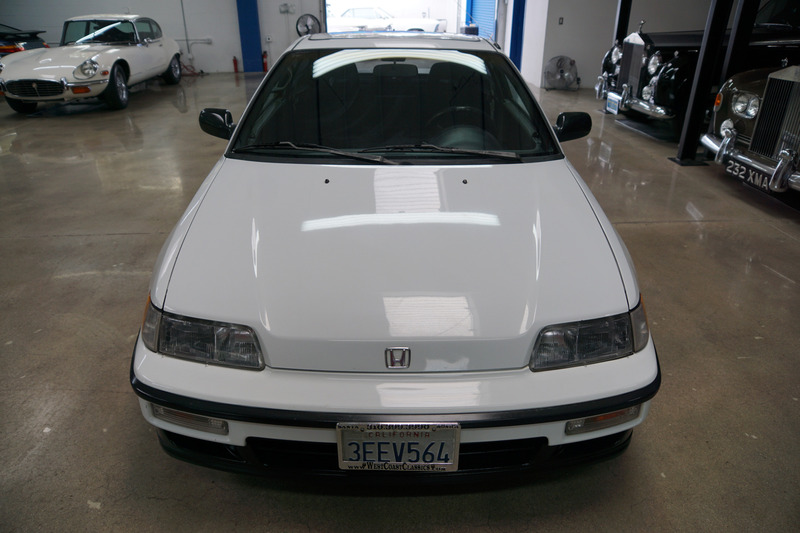 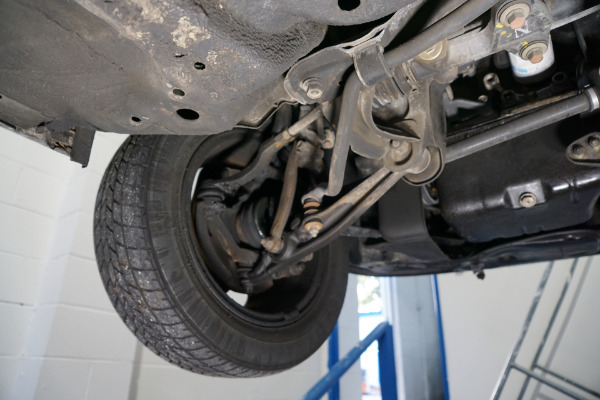 This is a very nice example, owned since new by only one southern California owner, the car has always been garaged with no accidents and no rust and has a clean CARFAX report and boasts its original spare wheel, jack and tools and owner's manuals. 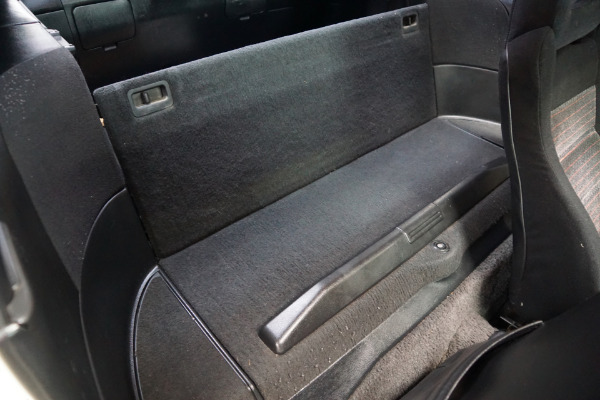 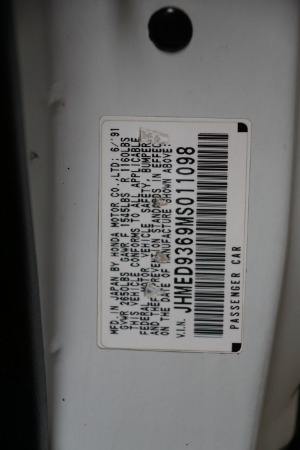 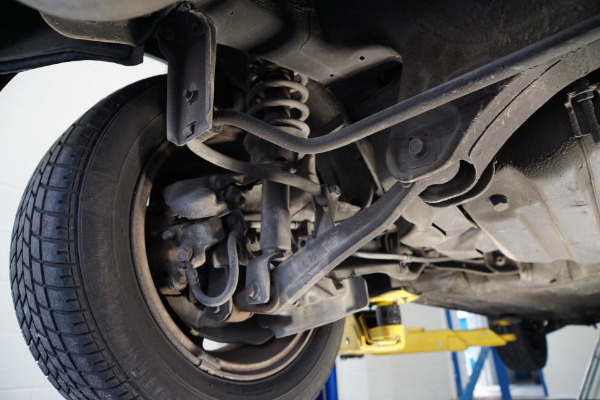 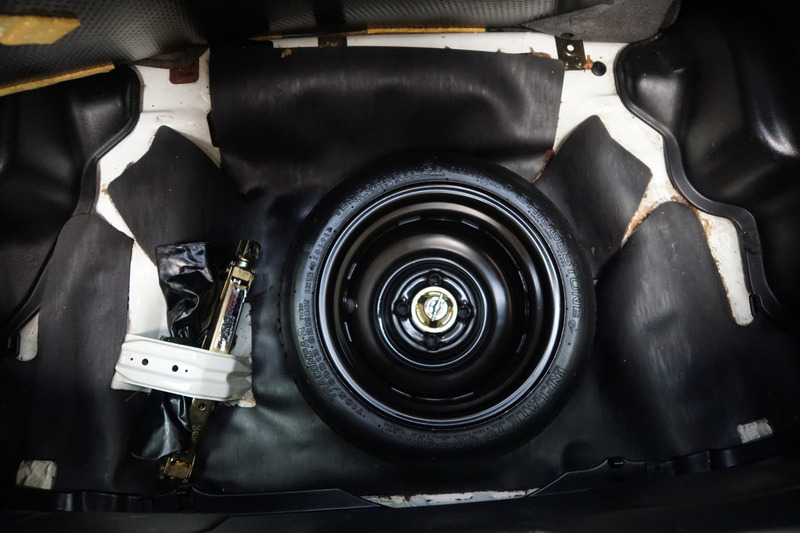 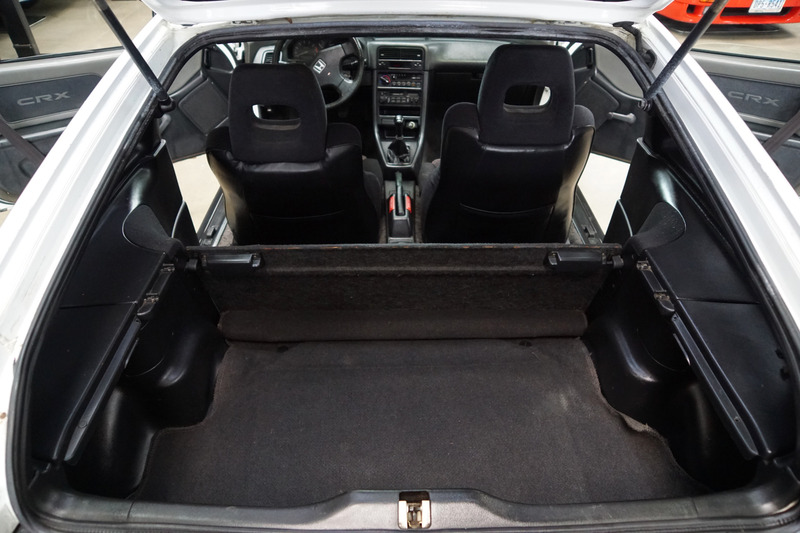 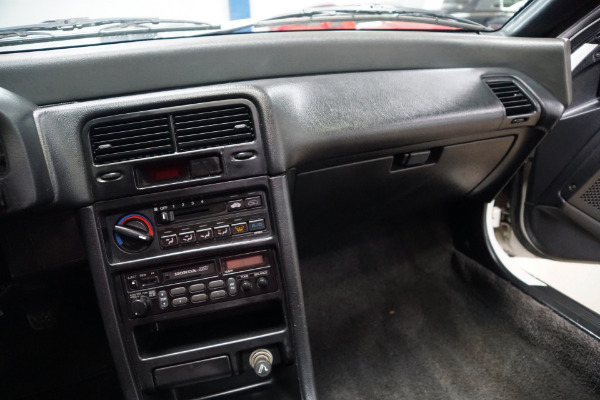 The car has very nice original paint and the car has it's original factory dark Gray cloth interior which is also in remarkably good condition throughout. 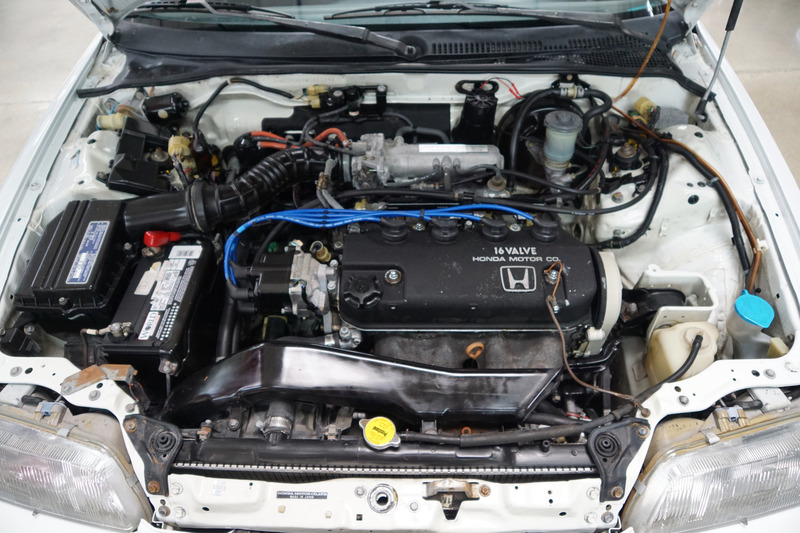 The 1.6L Si engine is extremely strong and powerful and the transmission shifts smoothly through all the gears.